Coming soon, the newly established Canal heritage Café offers guests the opportunity to relax and mingle whilst also exploring the pictures and story of the Lagan Navigation Canal which flows alongside the complex. The café offers artisan breakfast food using only the best local fresh ingredients with sweet treats provided by our in-house baker making it the perfect place for a late breakfast or for a cup of tea in the afternoon. 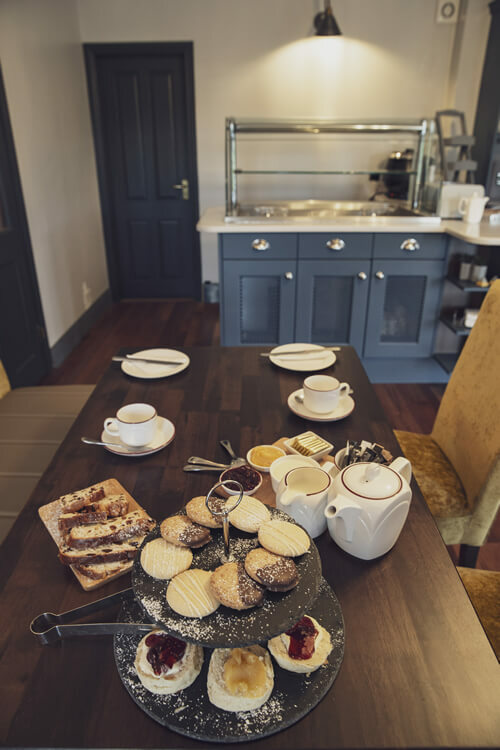 On sunny days guests can avail of out Tea Terrace with ample outdoor seating, BBQ areas and for the little ones a fabulous playpark which the cafe overlooks! BBQ evenings will be held periodically throughout the summer. In the evening guests can exclusively use the canal café for social gatherings or can be booked exclusively for private parties.